Alpha Glyph Publications, 9780978348595, 218pp. Meet the essence gatherer. Living in solitude in a driftwood cabin in the dunes, she enters the magic transformation of mythopoetic experience, and is shown the way to compile a personal Book of Secrets. But when imagination and intuition meet in the dunes, things aren't always as they seem. Drifting sands cover and uncover events, treasures, and memories. She is challenged by her history and grasps for balance in the "live and let live" world of the California Dunites. Metaphysics, alchemy, poetics and mysticism all play together in her private imaginaire, as life opens to a far wider horizon. With support from her friend Cath, and inspiration from Ella and Gwyneth, the essence gatherer soon finds a personal path that is for her alone. ATTARS is an account of liminal events happening behind the scenes when a collector of essences writes her initiatory Book of Secrets. 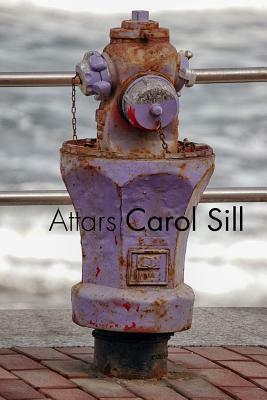 "As I read through Carol Sill's new book, I became deeply intrigued with the downright originality of Attars. I couldn't stop thinking about it long after it was done. You won't have read anything quite like it before. It is brilliant and wise." Ann Mortifee. Carol Sill is a writer, editor, and publisher living in Vancouver, BC, with the abstract artist James K-M and their beagle, B. A grandmother of two, she has been engaged in the practical application of ancient spiritual wisdom for over four decades. She applies her training in the Sufi tradition of Hazrat Inayat Khan in everyday life. Her other books include Human Ecology: Notes on the Sacred Element Work, Documentary Print, and Letters: Shamcher Beorse and Carol Sill. Carol was the editor of Ann Mortifee's acclaimed best-seller, In Love with the Mystery. In addition, she has republished several books by her Sufi teacher, Shamcher Bryn Beorse, including Fairy Tales are True, Every Willing Hand, Man and This Mysterious Universe, and Planet Earth Demands. For these, she has also written extensive introductions for the contemporary reader. She currently manages the Shamcher Archives. As an editor and publisher, she also assists authors in self-publishing their fiction, poetry and non-fiction titles.